Traditionally this is a spring drink so this batch will all be bottled and conditioned until opening in early May. The inclusion of the Victory malt was a last minute thing as I ordered the ingredients based on a recipe designed at 77.5% efficiency however as I’ve been getting nowhere near that on my last Grainfather brews I recalculated this recipe at 72% efficiency in an attempt to fix some of the issues I have encountered so far. This meant I would need more grain to hit my target figures and as a result didn’t have enough Munich Malt in stock! Victory Malt is lightly roasted and brings out the nutty, toasty, and biscuit flavours in the malt bill so should fit quite well with this style. This brewday went pretty much to plan! Finally! It is such a relief to be able to say that! 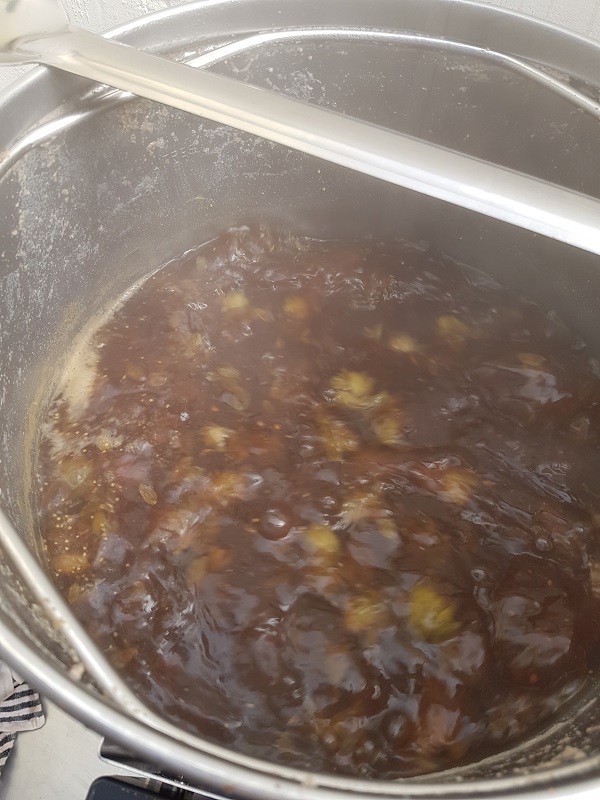 I did away with the Hop Spider this time as I didn’t have an opportunity beforehand to blast it clear with the power washer and I suspect that it being blocked caused part of my problems on Brewday 40. 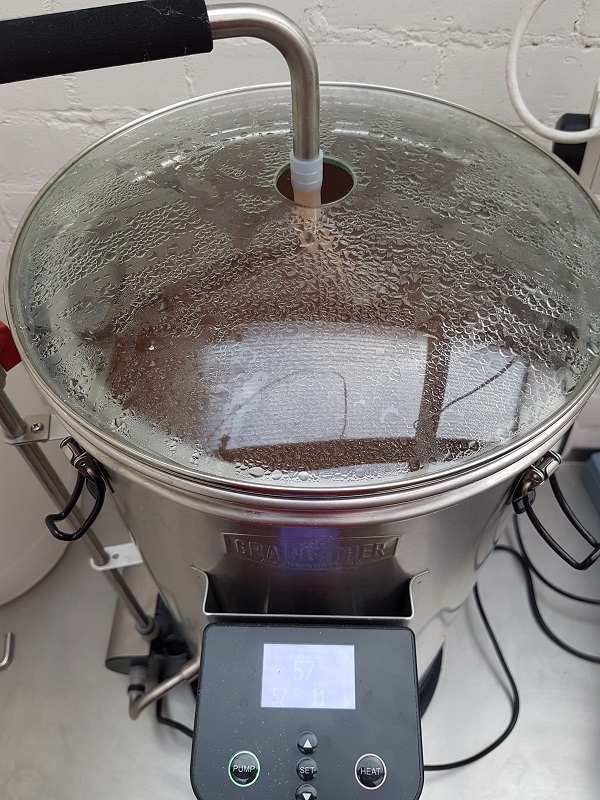 I also used the water volume calculations from the Grainfather website and not what Beersmith was telling me as there was almost 4 litres less water required according to Beersmith! As a result of these changes I ended up with 22l in the fermenter at 1.070 OG. 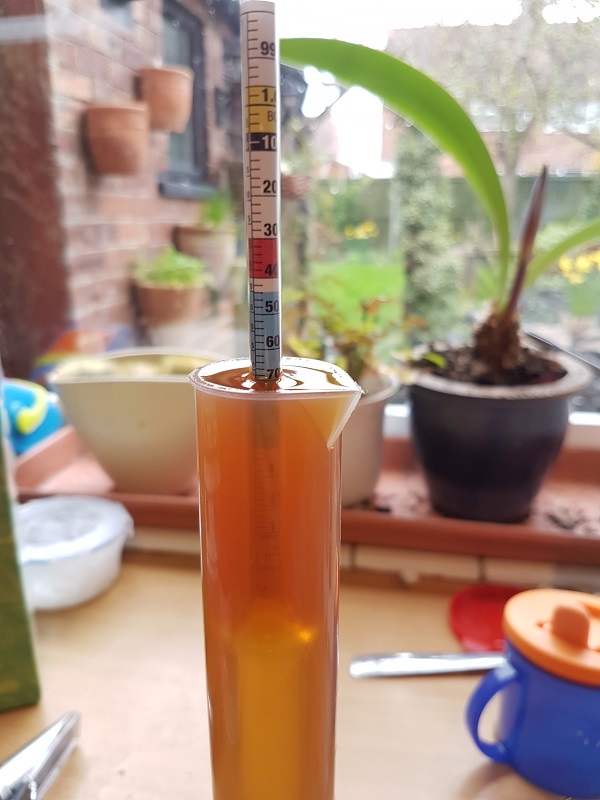 Target OG was 1.073 at 23l so there is still a little tweaking to be done however as the Grainfather’s efficiency does drop off with Malt bills over 7kg that may well account for the difference on this occasion and aiming for 21l instead of 23l might have ended up closer to target. Either way, the yeast starter was pitched and the fermenter was placed in the fridge at 10C for the first stage of this 30day fermentation schedule! Fingers crossed!